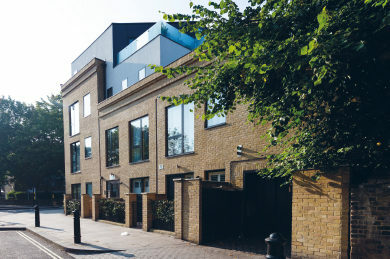 Oxford House is a small prestigious development of one, two and three bedroom apartments located on Hammersmith Bridge Road. Just a stone’s throw from the tube, this superb location offers easy access to Central London within just 20 minutes, whilst, on its doorstep, an array of shops, bars, restaurants and other popular facilities can be found. 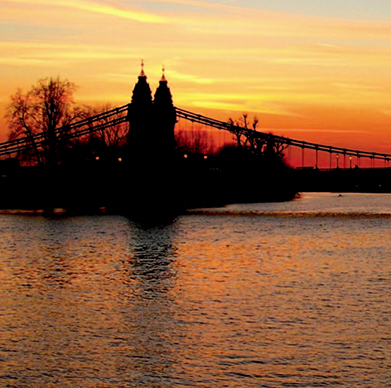 Oxford House is situated just off Hammersmith Bridge Road, which takes you over the River Thames. Its excellent location is no more than five minutes from the nearest tube station and amenities, where time can be spent relaxing and shopping. 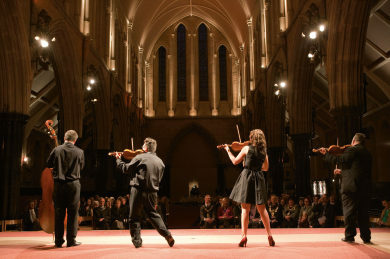 Aside from the riverfront itself, other local attractions in the immediate vicinity include HMV Apollo, The Lyric Theatre, Hammersmith Roof Gardens and several small museums. The close proximity of neighbouring and equally appealing destinations such as Putney, Richmond, Chiswick and Fulham make for an exciting and enviable location to live. For a change of scenery, a 15 minute tube ride east, takes you to Sloane Square, where you can pick up the Kings road. Alternatively a 15 minute bus journey to Westfield can offer a one-stop-shop for entertainment and shopping. 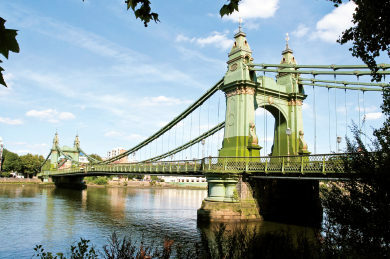 Besides its stunning riverside location, Hammersmith has a great sense of community, with a full and varied events calendar all year round. Just minutes from the apartments are theatres, museums, galleries, and the HMV Apollo, with other ad-hoc events such farmers markets and craft fairs appearing throughout the year. Surrounded with history, architecture, culture and wonderful cityscapes, these beautiful apartments define cosmopolitan living at its best. The Oxford House development has been architecturally considered with its urban surroundings in mind. Each part of the interior fit, from tiles to appliances, is carefully sourced for its aesthetics and functionality. The bright and contemporary open plan layout, reflects the demand for a social living environment that works as an entertaining or family space. All apartments are serviced by passenger lift and access staircase. The A4 is the main route in and out of Hammersmith via central London and the west. 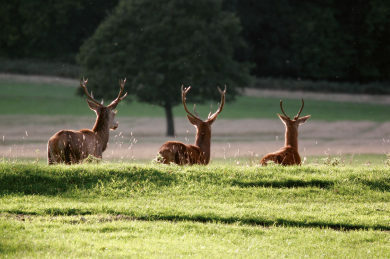 Follow the A4 east for a direct, historical route through the capital and west towards Richmond Park, Heathrow, the M25, Reading, Bath and Bristol. Other nearby roadways include the A406, which takes you north towards Wembley and Brent Cross and the M1. Three lines operate out of Hammersmith; The Hammersmith and City, Piccadilly and District. These stretch from east to west, offering good routes to Central London, the City and most major train routes out of London (Victoria, Kings Cross, Paddington, Liverpool Street). Heathrow Airport can also be reached in just 20 minutes. The closest mainline trains operates from Victoria and West Brompton. There are countless different bus routes currently servicing Hammersmith, these include routes to Central London, Brent Cross, Wandsworth, Clapham Junction and Richmond upon Thames. The exact routes are: 9, 10, 27, 33, 72, 190, 209, 211, 220, 266, 267, 283, 295, 391 and H91. Hammersmith is well equipped for cyclists, with many well marked cycle lanes throughout the borough. Discover London at your leisure on the Thames River tow paths, which offer access to Chiswick, Kew and Richmond. The building is highly insulated, and requires much less heating than most other similar buildings, with the benefit of lower heating bills. Heating will be by radiators fed from a low energy, highly sustainable energy source. Timeclocks and thermostats provide control for the central heating. The heat source is an exhaust air heat pump unit, which is more efficient than a gas boiler and has lower running costs compared to gas. With gas prices expected to rise in the future, this is a way of reducing the annual energy bill. A ventilation system with heat recovery provides fresh air all year round. This keeps all rooms fresh and removes unwanted humidity and odours from bathrooms and the kitchen. Fuel bills are further reduced by recovering the heat from the outgoing air and using it to heat your hot water. Mains water is boosted to each dwelling to provide a much higher pressure than is available from the mains. All outlets will be provided with a good water pressure. The building is also provided with a rainwater harvesting system to be as sustainable as possible. Low energy lighting is used to improve energy efficiency, 75% of light fittings are low energy. A video door entry system is provided to control access to the building. IDM aims to bring above average return on Investments for all stakeholders. This core objective is achieved through three divisions, each complementary to one another. By utilising our 30 years’+ experience in property development, our mission is to deliver excellent value to our customers by providing high quality developments in which people can work, live and play.